This multi-purpose wireless system provides versatile performance for camcorders, karaoke, DJs, houses of worship, schools, meetings and presentations. 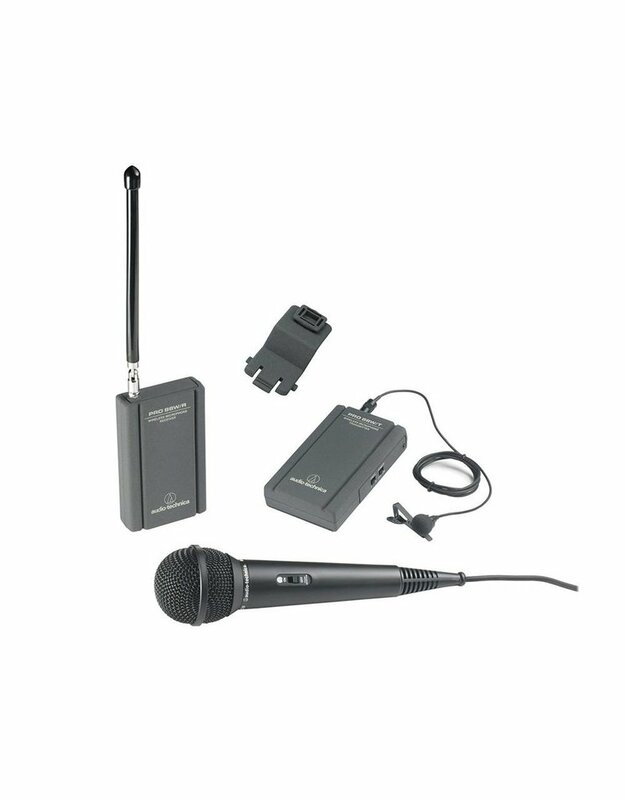 The ATR288W TwinMic VHF wireless system is supplied with two microphones, an omnidirectional condenser lavalier microphone and the ATR1200 unidirectional dynamic vocal/instrument microphone.Both included microphones are wired, and connect to the bodypack for wireless operation. 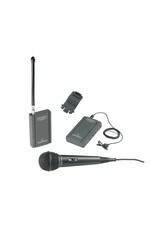 Connect the ATR35 lavalier for completely hands-free speech, and the ATR20 handheld for applications that require a handheld microphone. A 9V battery (each) keeps the transmitter and receiver powered for up to 8 hours.